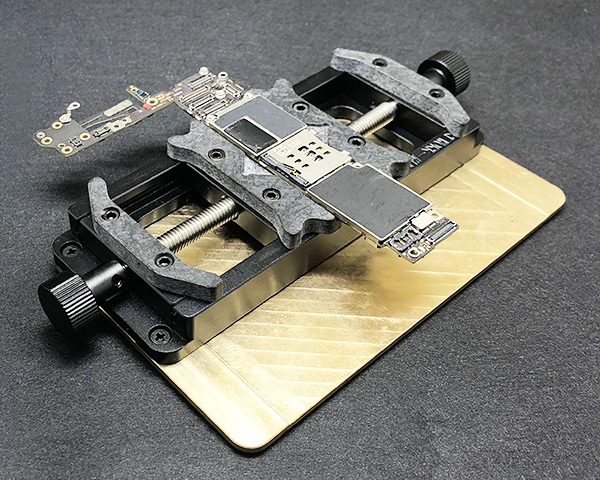 Adjustable Mini Universal Holder design for BGA/IC PCB/Motherboard Repair that makes working in a professional repair shop become much more easy. Designed with double-shaft and Prefect Dimension. 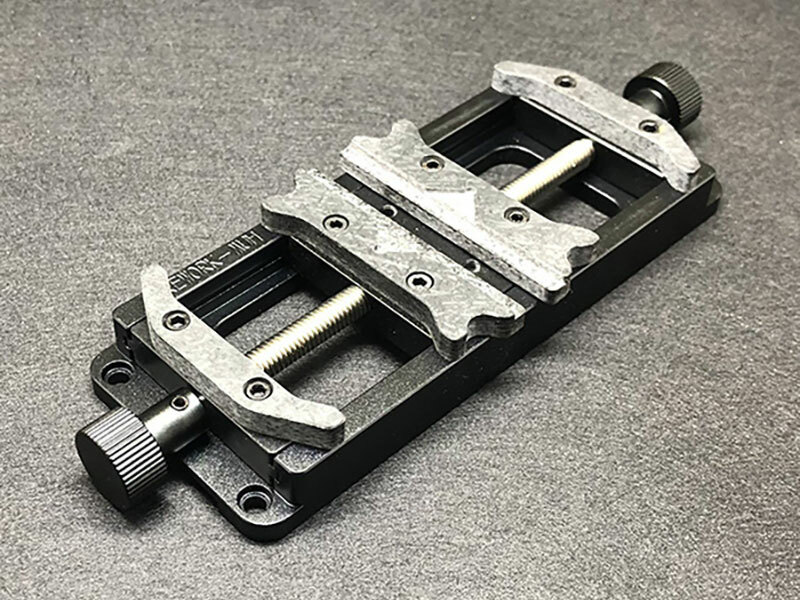 Portable and Simple Operation, Precision Screw Adjustable Positioning. With high quality material (Aluminium & Synthetic stone) can resistant high Temperature. Easy to use and able to work independently. Can be coupled working together with a microscope. Also compatible with IREWORK Universal PCB Holder Base.